The HP Color Laser Jet CP1215 is a color printer with 12 pages per minute print speed. It makes high-quality color laser printing incredibly easy and more affordable than ever with its lowest-priced color LaserJet. Quickly print business documents with vibrant color enabled by this compact printer and next-generation HP ColorSphere toner. Supported operating systems Microsoft Windows 8, Microsoft Windows 7, Microsoft Windows Vista, Microsoft Windows XP Home, Microsoft Windows XP Professional, Microsoft Windows Server 2003, and Microsoft Windows 2000. Want affordable color laser printing? 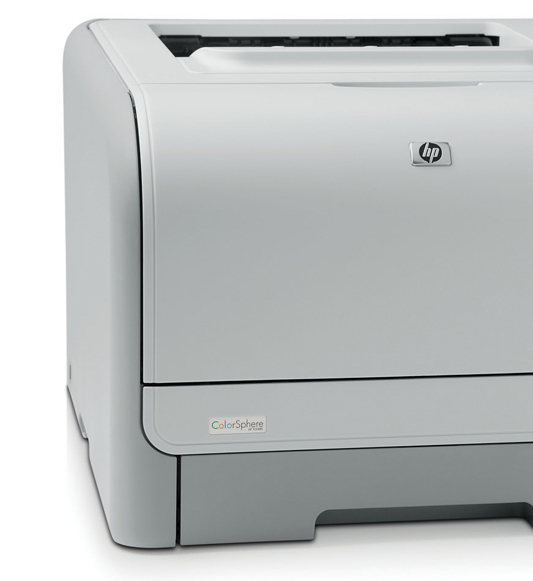 Buy the HP Color LaserJet CP1215 Printer for color without compromise. Print business documents with vibrant, bold color and clean lines. Plus, enjoy black-and-white printing for the same cost as using a mono laser printer. Want to boost productivity and reduce costs? Start and finish printing fast with Instant-on Technology, so you spend less time waiting by your printer. You’ll also save your business time and money because there are fewer parts to replace compared to other laser printers. Want to print on a variety of paper types? That’s simple. With a single click of your mouse, select one of the pre-configured Printing Shortcuts. There are settings for envelopes, card paper, glossy paper and more. Want to reduce interruptions? This HP printer’s compact, exceptionally quiet design is perfect for your desktop. Get your documents without leaving your office and forget about noisy distractions. Plus, conveniently print up to 150 pages without reloading the paper tray. Make your business documents stand out. Count on HP ColorSphere toner and HP ImageREt 2400 for exceptional print quality. Colors will look bright and bold, and charts and text will look sharp and clean. Easily create marketing materials right in your office. Avoid keeping outdated documents and storing extra copies by printing only what you need, when you need it. Did you know that HP LaserJet printers with Instant-on Technology have reduced carbon emissions by 5.25 million tons? That's the same as taking 1.1 million cars off the road for one year. 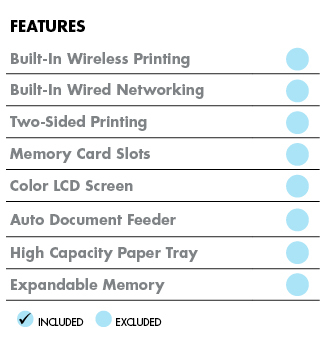 Plus, this printer is an ENERGY STAR® qualified product. HP, the #1 brand in toner is the #1 value. Get professional results every time. The HP Color LaserJet CP1215 Printer uses four individual print cartridges: black, cyan, yellow and magenta. Print all your business documents, from brochures and presentations to invoices and emails, using Original HP paper. To easily connect your PC to this HP printer, you’ll need a USB cable. See all the compatible toner and recommended papers here.